Our entire residential moving business has been built on referrals and it shows. We encourage our prospective customers to take time review our website and read some of our previous customer’s testimonials. 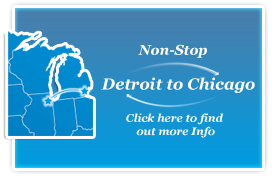 Our Michigan moving services come highly recommended by an impressive list of local Michigan families, local celebrity clientele, small start-up businesses, and even fortune 500 organizations. We even have in an entire chapter dedicated to our company and our customer friendly moving services in the Customer Service Book, “Who’s Your Gladys?”. We value each and every customer and it is our mission to be the Michigan Moving Company that you recommend to your friends, families, neighbors, and co-workers.